Soils provide a tactile, hands on opportunity for authentic science in K-12 classrooms. To expose students to the importance and complexities of soils, we have developed a number of lab modules for elementary, middle, and high school students that cover physical, chemical, and biological aspects of soils. 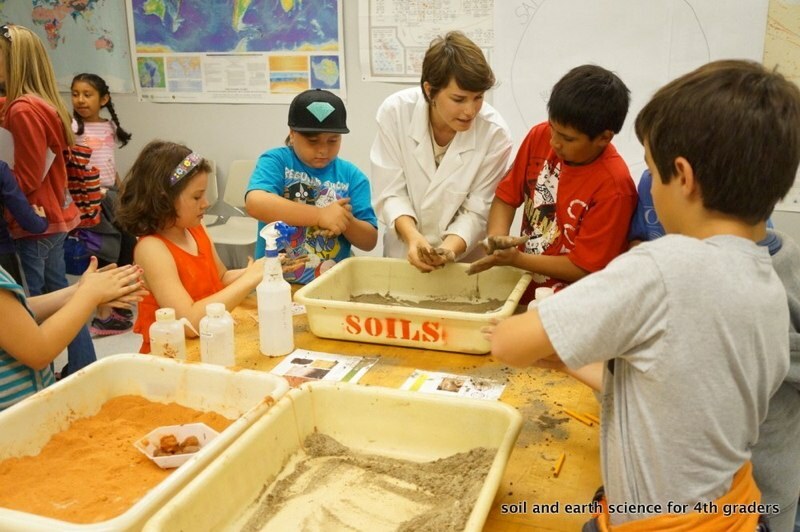 Soils are the ideal case study laboratory activities in the classroom because they are easily accessible, connected to global issues, and integrate biology, chemistry, physics, and environmental science. We have shared these modules with local teachers, facilitated lab activities in the classroom, and established a support network for teachers that aim to incorporate soils into their teaching. Classroom lab modules include: microarthropod extraction, tardigrade collection, fungal growth assays, soil horizonation, soil texture, soil carbonates, soil respiration, nutrient analysis, plant growth, and soil color. If you are an educator looking to integrate aspects of soil science or ecology into your classroom, please get in touch! I am available for classroom visits for local Colorado educators.